The Colorado Avalanche traded centre Ryan O'Reilly and left-winger Jamie McGinn to the Buffalo Sabres in exchange for defenseman Nikita Zadorov, forwards Mikhail Grigorenko and JT Compher and a second-round pick in the NHL draft. 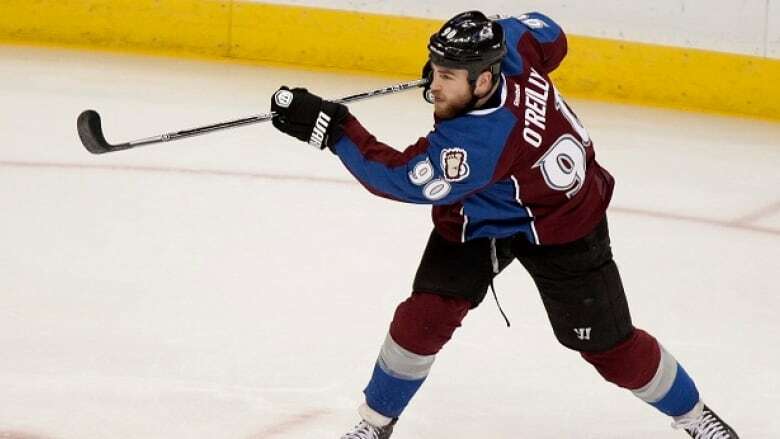 The Colorado Avalanche traded centre Ryan O'Reilly and left-winger Jamie McGinn to the Buffalo Sabres in exchange for defenceman Nikita Zadorov, forwards Mikhail Grigorenko and JT Compher and a second-round pick in the NHL draft. The move Friday for the trio of young players and the 31st overall selection Saturday comes just days after Avalanche general manager Joe Sakic insisted that re-signing O'Reilly to a long-term deal was his "first priority." O'Reilly, 24, had 17 goals and 38 assists last season and 28 goals and 36 assists the year before. Zadorov was Buffalo's first-round pick in 2013 He appeared in 60 games as a rookie for the Sabres last season, when he had three goals, 12 assists and 51 penalty minutes The 6-foot-5, 220-pound defenseman gives the Avs a big defensive presence they've been looking for. Grigorenko was Buffalo's first-round draft pick in 2012 and appeared in 25 games for the Sabres last season. Compher, 20, was a second-round pick by Buffalo in 2013 and just completed his sophomore season at the University of Michigan, where he had 24 points in 34 games. He was the Big Ten rookie of the year as a freshman, when he had 31 points in 35 games. McGinn had six points in 19 games for Colorado last season.